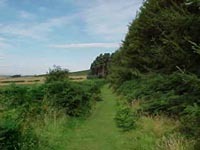 St Cuthbert's Way - Wooler to Lindisfarne. This section is 28 kilometres in length which makes it the longest of the four days but the maximum ascent is the lowest at 260metres. Although long it is not the most arduous but it will require between 6 to 7 hours walking. You also need to know the timing of the tides as the Causeway and Pilgrims Path are closed for significant periods every day. Also note that the Pilgrims Path will remain under water for up to 4 hours extra per tidal cycle to that of the Causeway. You can obtain safe crossing times from the Tourist Information Offices in Northumberland (telephone number 01289 330733) or by clicking here you can hyperlink to on-line crossing time information. Alternatively e-mail Walking Support (member of the Route Management Team) where you can request details of the safe crossing times for a specific date to be sent to you by return e-mail. 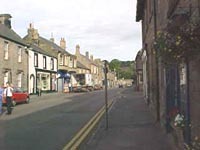 The final section of the walk resumes from the centre of Wooler dropping down to the Till River then proceeding East to Weetwood Bank and Moor. 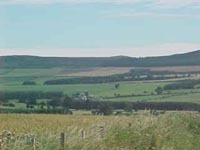 This is a Conservation area and affords open views to the North and the Cheviots in particular. The area also has significant prehistoric remains. Weetwood Bridge dates from the 16th Century and spans the Till River, the only English tributory of the River Tweed. 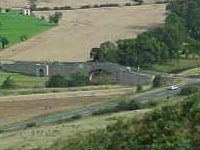 The earlier bridge on this site is said to have been used by the English soldiers on the way to fight at Flodden, some 8 miles NW. On leaving the Till travelling NE you can see a part of Doddington Moor . St Cuthbert is supposed to have tended the sheep in this area. 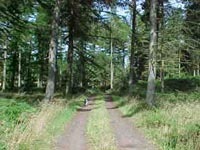 This section leads to the National Trust Woods near to St Cuthbert's Cave. Looking back you get fine views of the Cheviot range stretching into Scotland. 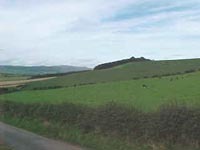 The hills from Cockenheugh along to Greensheen Hill are interesting for there large visible bolders appearing through the treeline. 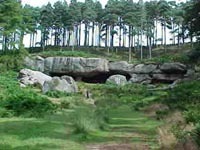 Perhaps in this landscape St Cuthbert's Cave is not that surprising, except for its size. 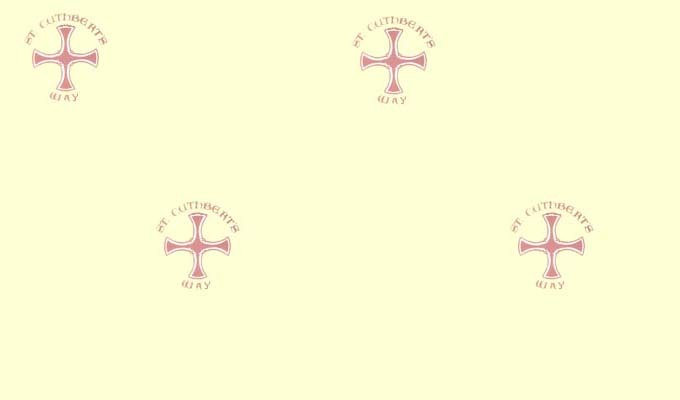 This cave is where the Body of St Cuthbert was brought by the Monks in 875 as they escaped the invading Danes. This invasion resulted in the destruction of the Abbey. 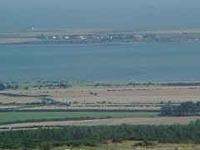 From St Cuthbert's Cave it is only 5 minutes until you reach the top of the Greensheen Hill and the view to the North Sea coast. On a clear day you can pick out the Holy Island and the causeway to the NE and south to Bamburgh Castle with the Farne Islands off shore. The walk is now all downhill but even with the end in sight for most of the way, there is still around 12 kilometres left to go. As you descend you pass through Shiellow Woods and then round the outside of Uffa Hill woods. Here you continue to get some great views of the Northumberland Coastline. Fenwick is a small village just to the west of the A1 trunk road. It has some charming cottages and also some attractive modern housing. 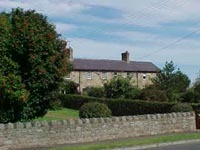 Care needs to be taken as you cross the A1, then it is back to a quiet country road past Fenwick Granary. One further hazard awaits you, the crossing of the East Coast Railway, noted for its high speed trains. Safely crossed the route now heads toweard the Beal Cast ((water course) and around fields to join up with the Beal Sands. 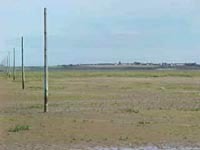 Having reached the Beal end of the causeway and crossed the South Low there is the option at certain tides to choose the Pilgrims Path or to go the slightly longer way via Shell Road. If Pilgrims Path is chosen, be prepared to do it with bare feet or have some wellingtons. Also know when the tide is turning so that you do not get stranded on one of the refuges. The Priory is the end of the walk and is central to the quaint community. You are unlikely to be on your own however with over 140,000 visitors to the Island each year. 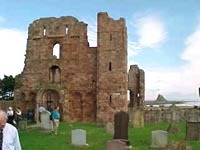 This is not surpising as Lindisfarne (Holy Island) is still regarded as "the holiest place in all of England". 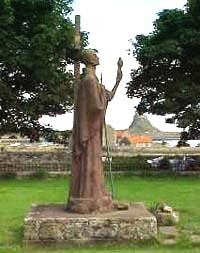 Although the journey has been following the life of St Cuthbert, the Island has more than religious interests. There is also the Castle positioned high on Castle Point, and the interesting Nature Reserve. There is much to do and see on the Island, but remember the time of the inward tide, or you could find your departure delayed.